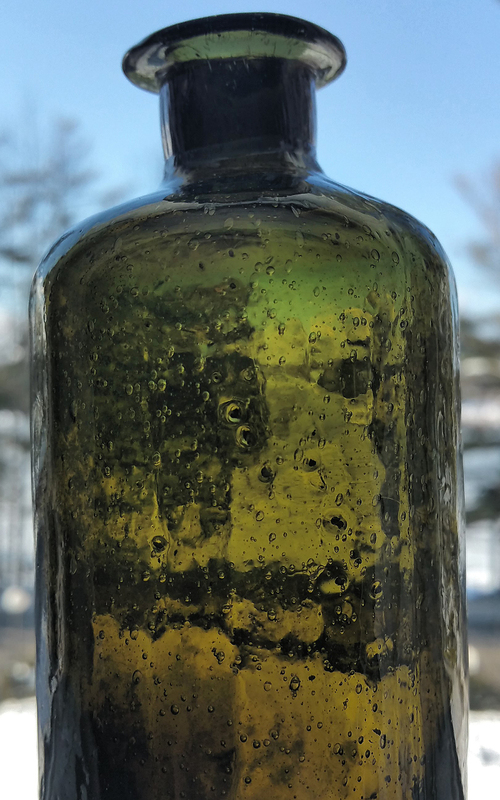 Home / Utilities / Early New England Utility Bottle! 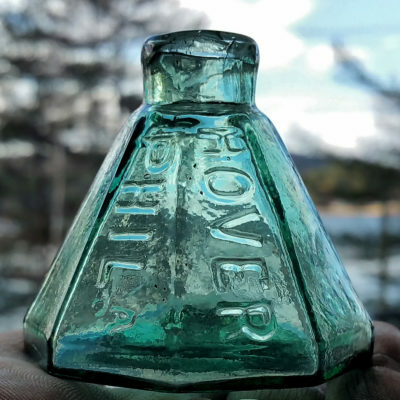 Early New England Utility Bottle! 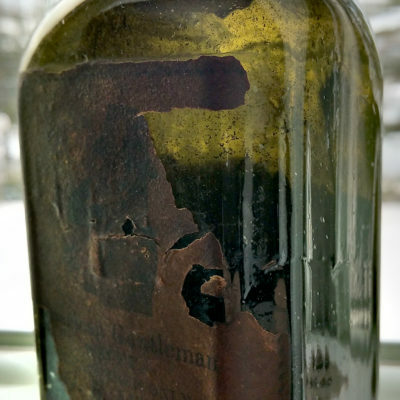 Here is a nice early New England (or NY state) UTILITY bottle, 1820-1840s. Roughly 6″ tall. 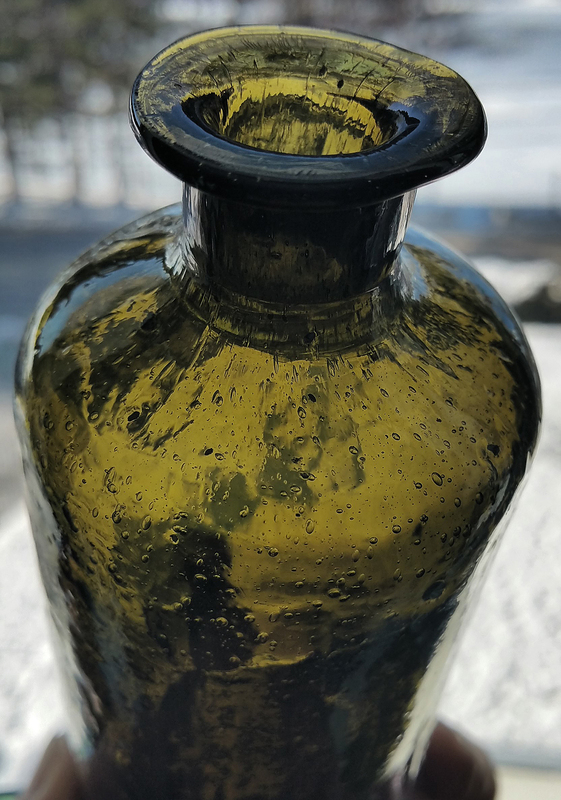 These were used for medicine, ink, blacking, or any other household products. They are available, but rarely as nice as this one! 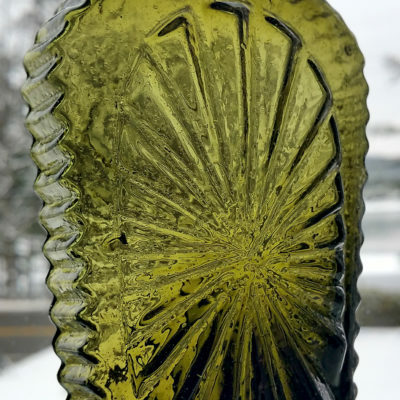 The glass crudity is extraordinary, and this one actually has two raised dots embossed on the base. Maybe this can help determine the origin. I believe it to be a New Hampshire product, but not certain. 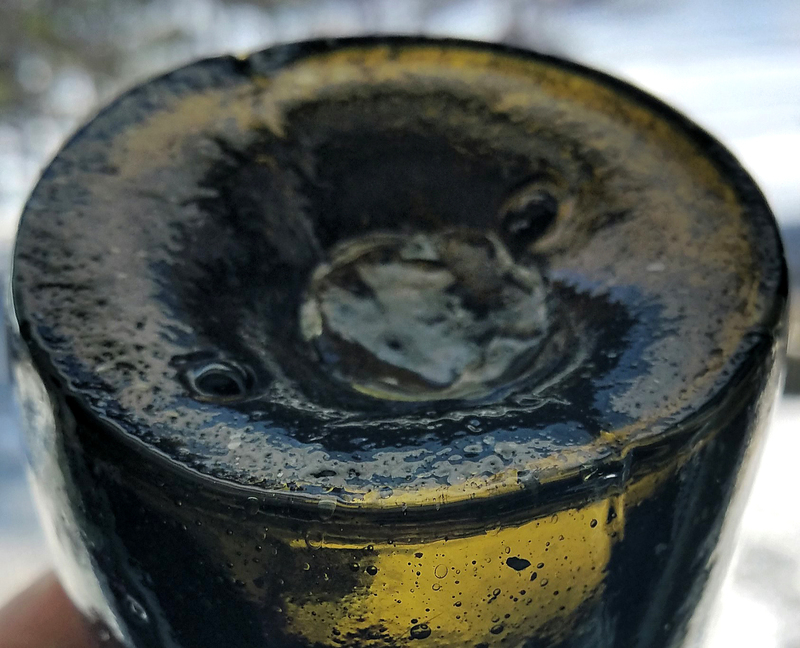 Open pontil base, and nice perfect flared lip! 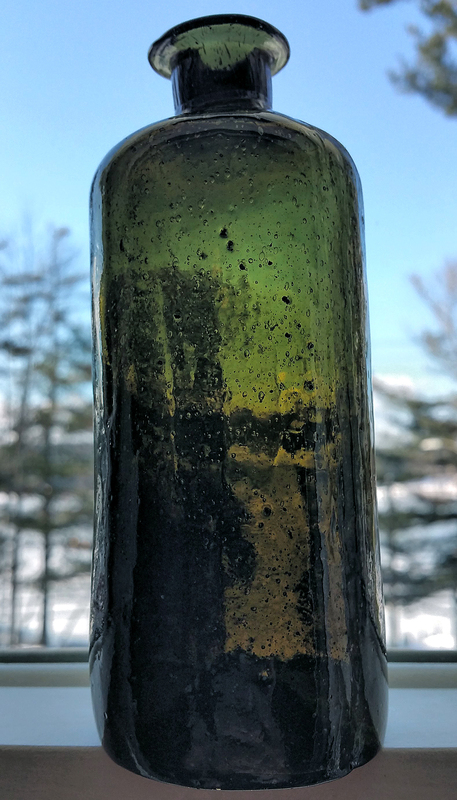 LOADED with bubbles and debris in the olive amber glass! Perfect! 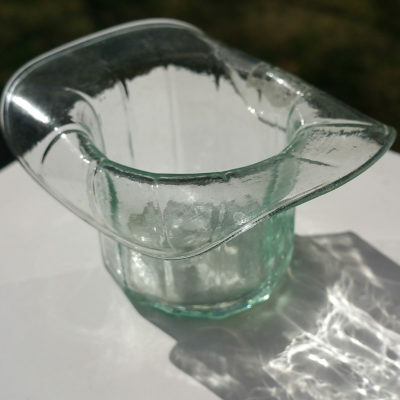 Rare WHIMSY HAT made from a utility bottle mold!